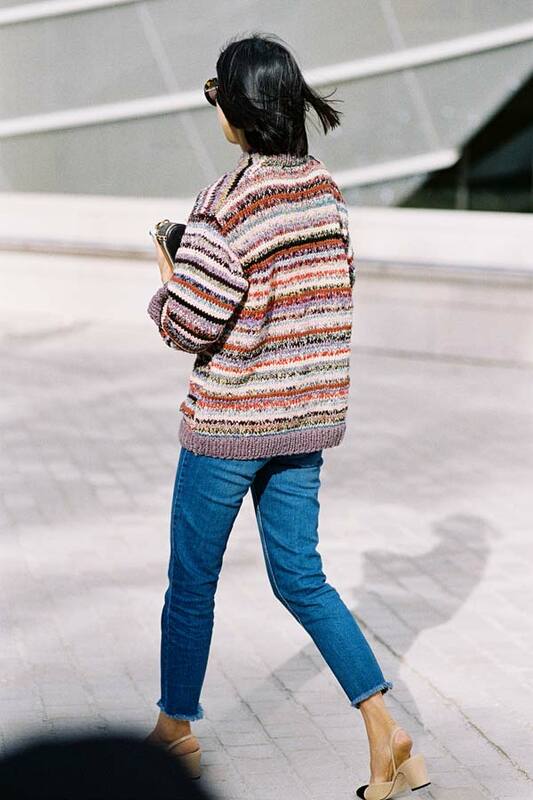 Instagram's Eva Chen, after Louis Vuitton, Paris, October 2015. There is something I really love about Eva's outfit....I can't quite put my finger on it. I guess her sweater/cardigan and jeans have a sort of relaxed 70's vibe, and then the ladylike Chanel slingbacks are a complete contrast.